PDF (9MB) Click right to download and view current issue in an enhanced full-screen magazine layout using free Acrobat Reader or Adobe Acrobat (other PDF readers may not offer all functions). Old News :: Just as several of Washington's newspapers have vanished from the landscape, librarians and volunteers are bringing our state's near-forgotten newspapers to light. :: Is organic more nutritious? 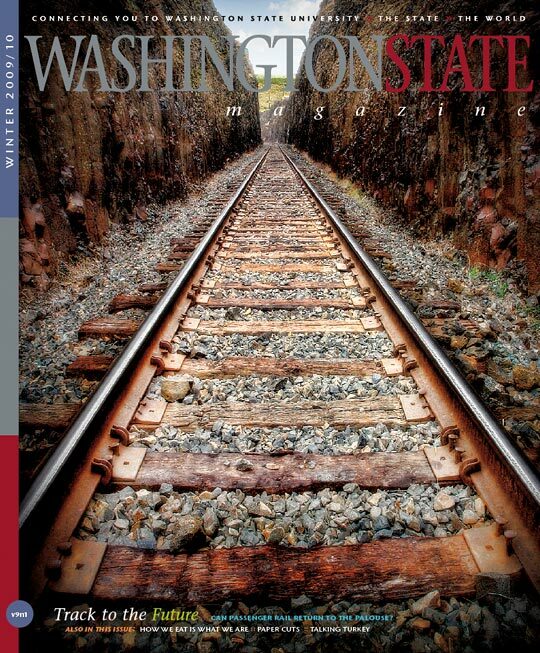 Cover photo: Railroad tracks through the basalt cliffs at Palouse Falls State Park. Photo by David Hogan.